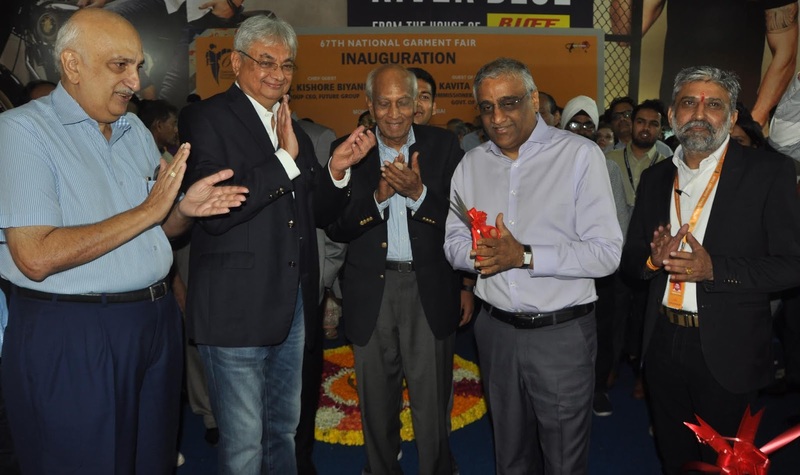 The Clothing Manufacturers Association of India (CMAI) organized “India’s Largest Apparel Trade Show – The 67th National Garment Fair” from 16TH July to 19th July 2018 at Bombay Exhibition Centre, NSE Complex, Goregaon (East), Mumbai. The Fair was inaugurated on 16th July 2018 by Chief Guest Kishore Biyani, Group CEO –Future Group. The Business Networking Sessions between the Exhibitors and Agents & Distributors, High Street Retailers, National Chain Stores & E-Commerce Companieswould also continue this year. This year CMAI is also Celebrating 25 years of Association with Bombay Exhibition Centre. CMAI’s First Apparel Training Center at AsmeetaTexpa, BhiwandiCMAI is setting up their First Apparel Training Centre, spread over 8,000 sq. feet, at AsmeetaTexpa, KalyanBhiwandi Industrial Area. The Centre shall be operational by the end of this year. This full-fledgedTraining Centre shall offer Courses for Sewing Machine Operators - Basic & Advanced, Supervisors, Quality Checkers & Finishers & Packers and will train up to 4,000 Trainees per year. A Tripartite Memorandum Of Understanding between Govt. of Gujarat, GIDC and CMAI was signedon 10th July 2018 where CMAI shall disseminate information amongst its Members promoting Gujarat as a Destination for Investments. You re in point of fact a just pay for essay reviews right webmaster. The website loading speed is amazing. It kind of feels that you're doing any distinctive trick. Moreover, The contents are masterpiece. you have done a fantastic activity on this subject!